The Hartmans joyously welcomed their second son into the world in June of 2010. He was perfect. Alex did everything a baby should, until one day he didn’t. 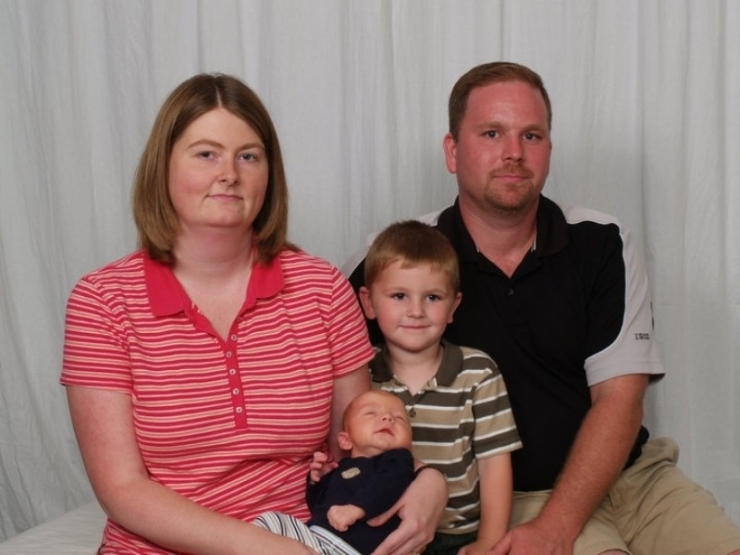 At three months old, Christy and Jonathan noticed that Alex wasn’t smiling. Upon closer inspection, they realized he wasn’t making eye contact either. This would prompt them to ask the scariest question two parents of a newborn can ask: What was wrong with their son? At the time they could not know that this question would haunt them; that they may never get an answer. 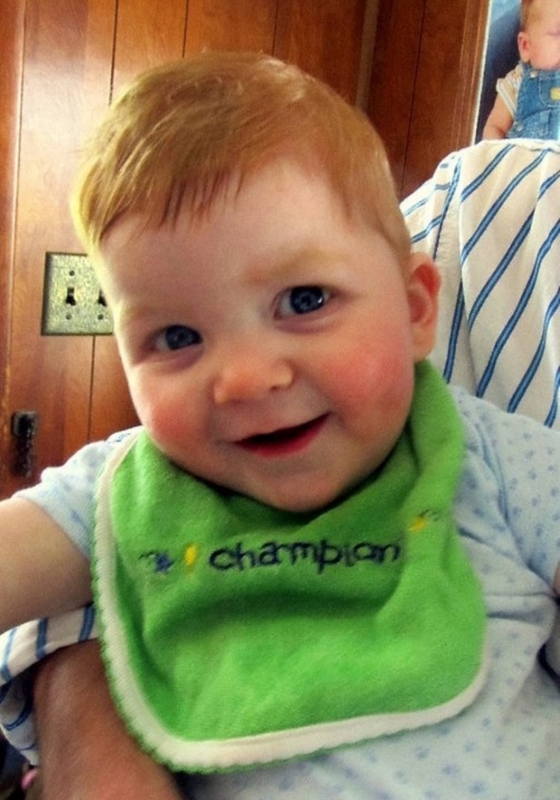 Alex spent a good deal of his first year of life inside a doctor’s office. He endured MRIs and countless tests, none of which could provide the family with what they wanted most: an answer. At one point doctors thought Alex had HIE, but that was quickly disproven. He shared many similarities with Cerebral Palsy, but not enough to warrant a concrete diagnosis. Once, leaving another disappointing visit, Alex made a jerking motion. Christy and Jonathan thought Alex was just startled - they had seen him do this before at home. But the doctor immediately summoned a nearby neurosurgeon. 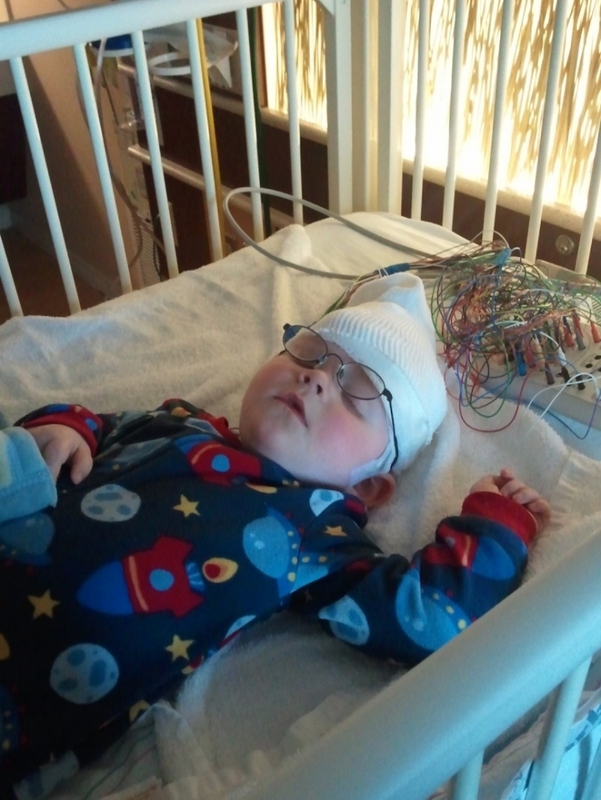 Alex was rushed to an EEG, where it was clear the jerking movements he was making were indeed seizures. And not only seizures, they were the more rare and much more dangerous Infantile Spasms. But after a steroid regimen, Alex’s spasms went away. But now at five years old, when most toddlers are unstoppable forces, Alex can’t sit up unassisted. Because of the low muscle tone in his legs, and likely a rare genetic disorder that they cannot diagnose, Alex can’t walk, let alone crawl. He is unable to eat solid food, so his parents puree his meals. Along the way doctors discovered that Alex has allergies to gluten and dairy. He has since put on a little bit of weight and seems much happier. Throughout his life he has received physical, speech, occupational & developmental therapies, but specifically what for, no one knows. Doctors have advised Christy and Jonathan to stop searching for a diagnosis, that it will probably never come. They have told them, “Whatever he has, it’s extremely rare. He could be one of a handful of people who have what he has.” They advised the parents to enjoy their son, and focus on enjoying their time with him. Although they continue to hope that one day they will know what plagues Alex, enjoying their family time is exactly what they’ve done. To ensure that Alex could be present and comfortable for all family activities, there were a few major items they needed. Alex was growing, both in weight and in length. His days of being safe in a car seat were coming to an end, and the family would have to deconstruct the heavy wheelchair every time they wanted to bring him somewhere. Ideally, they needed an ADA van. But when they went to shop, they were shocked by the sticker price. There was no way they could afford it. Jimmy, the salesman, was no stranger to helping a family find an ADA van. In fact, his was the dealership where Chive Charities helped Colton find his ADA van. Which was why, when talking to the Hartmans, Jimmy had an idea. “Have you heard ofChive Charities?” he asked. When they hadn’t, he encouraged them to check it out. On his office computer, he pulled up our website. As they browsed the stories, the family’s hope grew brighter. Maybe this was the organization that was going to help their son. Maybe this was the answer they’d been searching for. 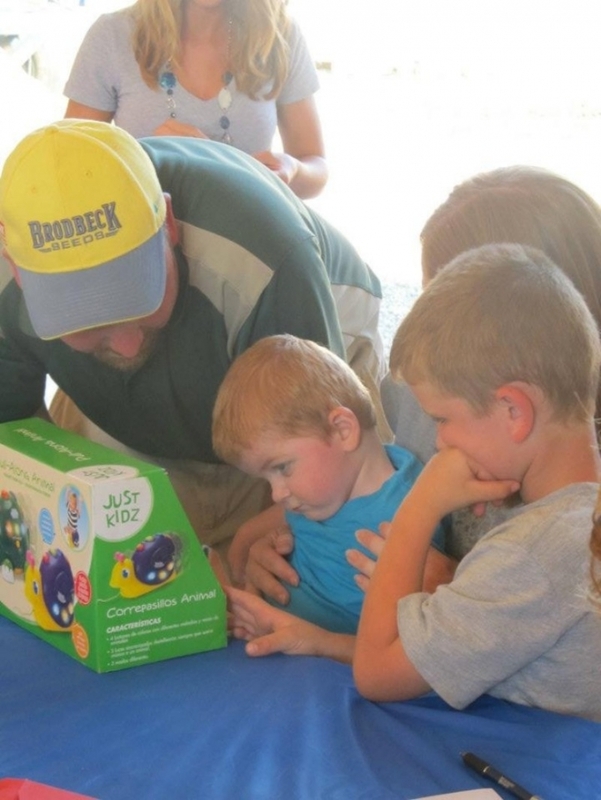 Chive Charities came through with a $59,000 grant that would purchase for the Hartmans a 2015 ADA van with a wheelchair ramp, as well as an adaptive tricycle. 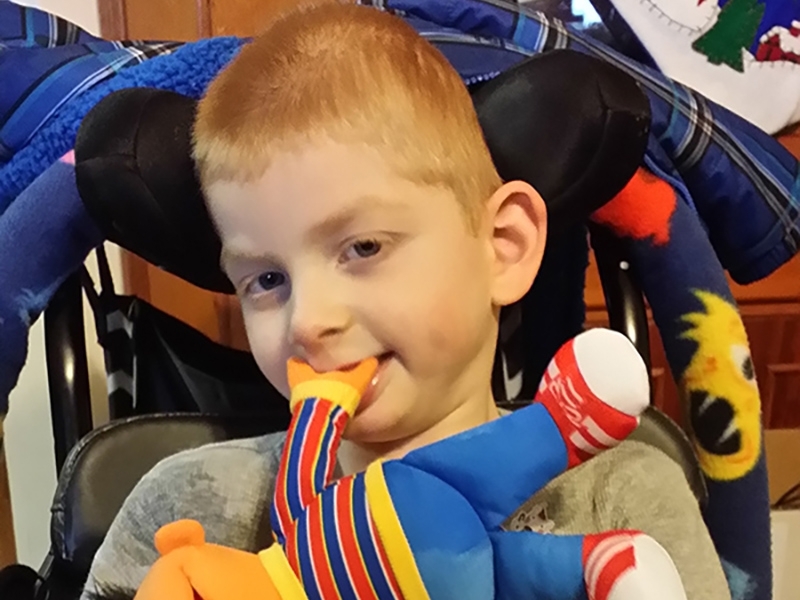 The tricycle is great for Alex because it gets his legs moving and helps him build strength. Although he has a bit of control over his leg muscles, his parents can push him and allow him to get used to the movements while getting some fresh air. 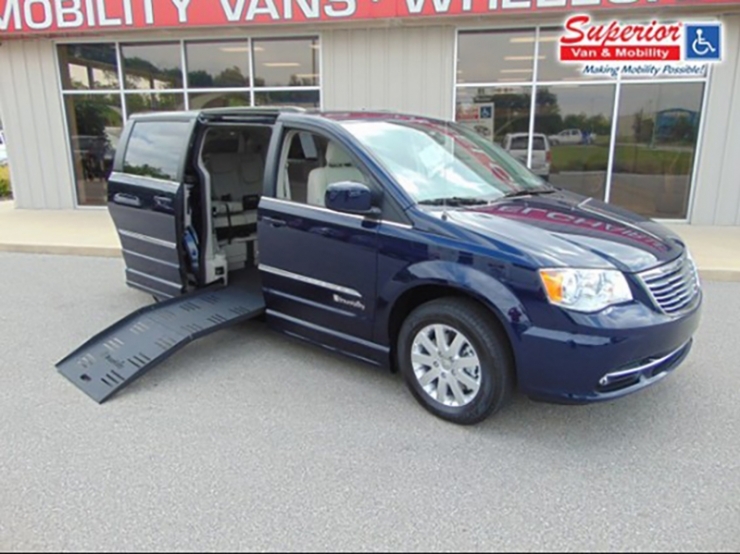 As for the van, since Alex’s doctors have recommended that the safest way for him to travel is in a wheelchair, he can now simply wheel up the ramp, be secured, and travel to doctor’s appointments and family adventures alike. 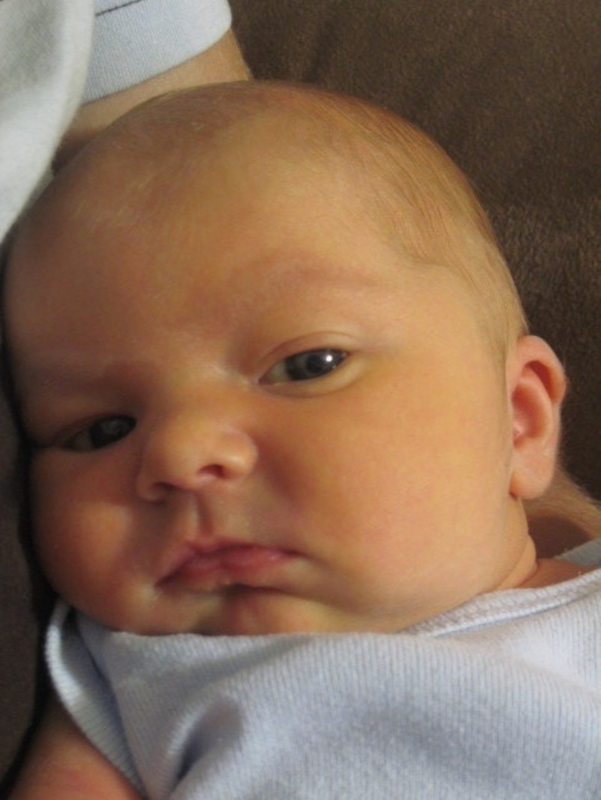 Meet Alexander, born June 17, 2010. From left, the whole family: Christy, Alex, Andrew, and Jonathan Hartman. Alex is a genuinely happy child. Despite the testing, discomfort, and pain, he enjoys life. An early riser, Alex is usually up before the sun. He gets as much as he can from every day. The tests that this little fighter has been subjected to are countless. 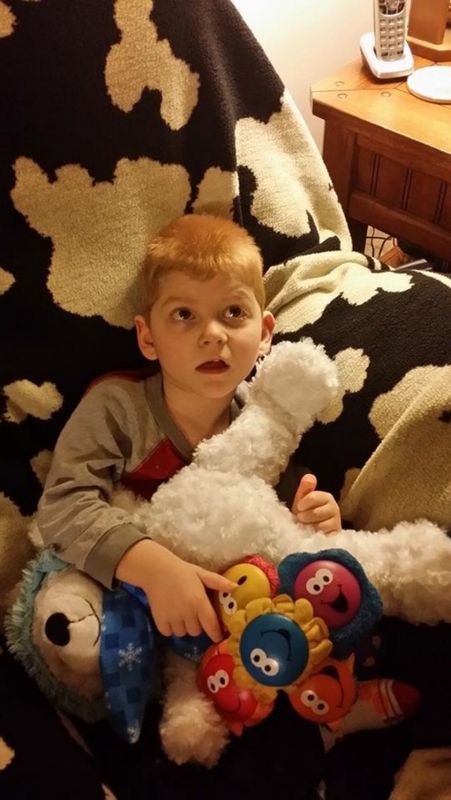 It has been discouraging and fruitless, since the family still does not have a diagnosis for their son. But Alex keeps his head up through it all. 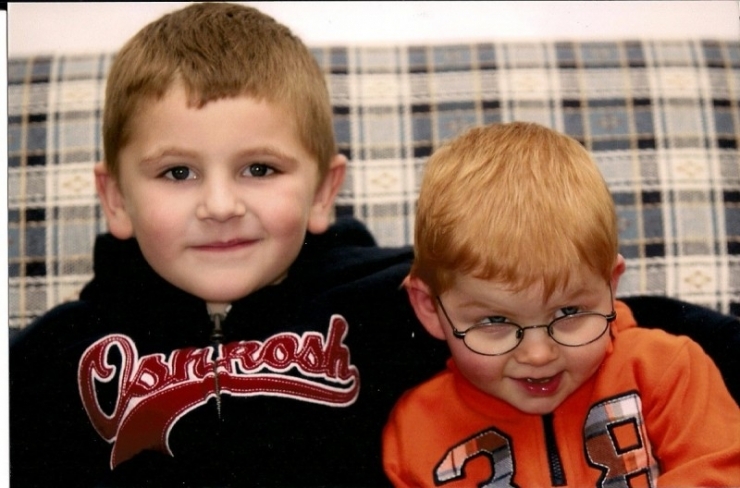 Here’s our guy with his best friend, older brother Andrew. Mom and Dad tell us that they “talk” back and forth all the time. It doesn’t matter that Alex can’t articulate how he’s feeling, or speak coherently - Andrew understands his brother like no one else can. Toys that vibrate are very cathartic for Alex. They can calm him in the most stressful situations. 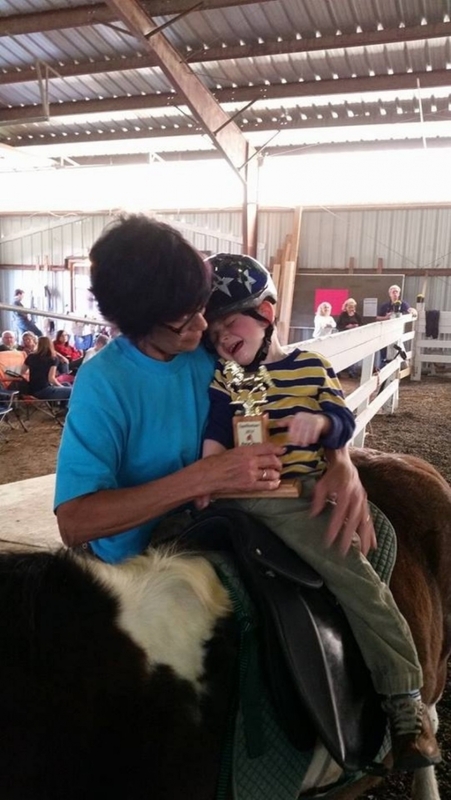 Alex goes horseback riding every summer, and it has greatly improved his core strength. Although he likes it, here he is having a moment of overstimulation. Because he has very sensitive hearing, “white noise” can often be very stressful. Being around too many people or being overstimulated can lead to Alex feeling very anxious. It’s for this reason that the family can not often dine at restaurants, even with the custom earplugs Alex wears. Alex hangs out with a few of his favorite toys. Lately, his hand movements have become more purposeful; more controlled. This shows that he is learning to control his body, and gives the family hope for his future. There are so many questions that may never be answered when it comes to Alex. The Hartmans may never know why Alex has the limitations he does. 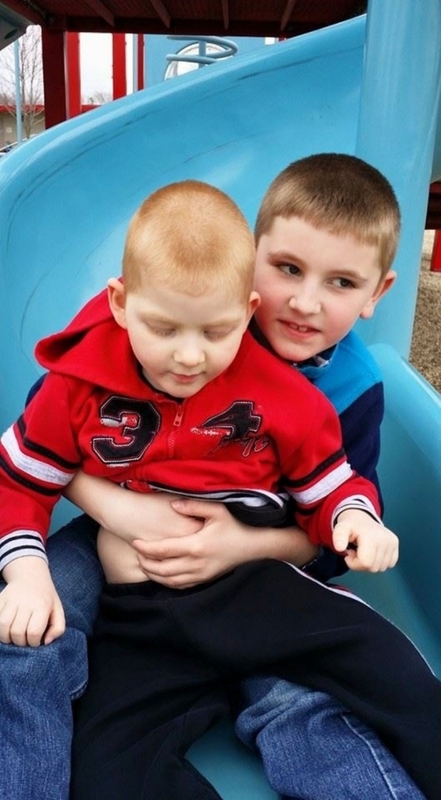 They know he is developmentally delayed, they know he has epilepsy, and they know there is a genetic mutation that is likely responsible for these symptoms. But after that, the medical community comes up empty. 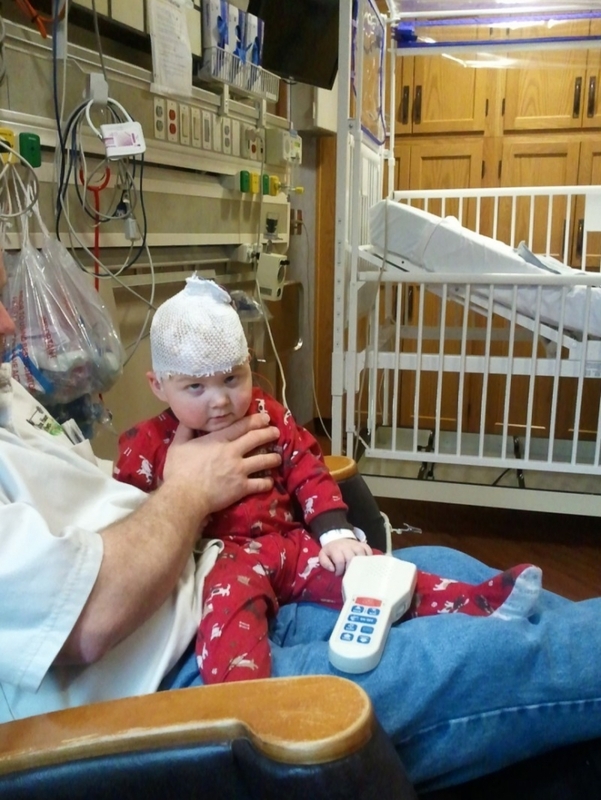 Chive Charities is able to give a megaphone to children like Alex because of the monthly donors. Our Chive Charities Members are the heroes behind every story. If you would like to become a member and start making the world 10% happier, you can start HERE.